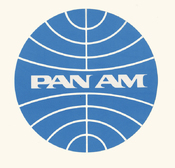 Collection: Cleared to Land: The Records of the Pan American World Airways, Inc. 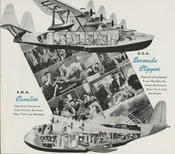 Written on verso: "B-314 out of the water at Port Washington"
Cover images and map from timetable brochure entitled "Pan American Airways System: Routes and Schedules Effective December 1, 1931"
Cover image from Pan American Airways System timetable, circa 1936 entitled "To the Spanish Main!" 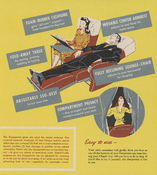 Page 4 of "The Clipper Fleet of PAA" brochure, depicting aircraft amenities, specifications and performance of the B-377 "Strato-Clipper" model airplane manufactured by Boeing Aircraft Co.